Expertise of a large firm with the personal attention of a small firm. Outstanding client service is the foundation of our practice and your satisfaction is the best measure of our success. 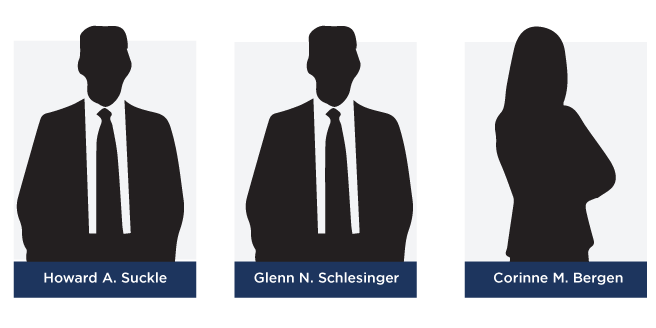 With the expertise of a large firm and the personal attention of a small firm, Suckle Schlesinger PLLC has the ability to handle all of your complex legal matters while providing you, our client, with close, personal service and attention. Our clients' interests are crucial and each client is kept informed of the progress of their action at every stage of the legal process.